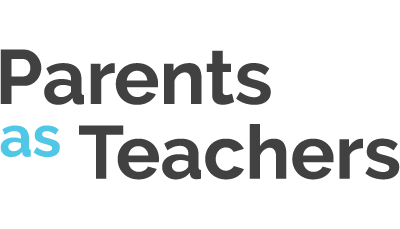 Parents as Teachers is an evidenced-based home visiting program that uses the most current research to promote healthy development and school readiness for children and families, prenatal through kindergarten. Parents are supported and empowered to work, play and read directly with their children to encourage them to reach their full potentials, both developmentally and emotionally. PAT is a free “any child, any family” service. To enroll in the PAT program, families must reside in Hillsborough County and have children aged prenatal to 5 years old. Home visits with a personal Parent Educator are the core of the PAT model. 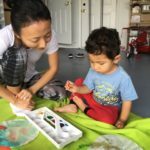 These visits focus on the child’s baby’s brain development, providing activity information specific for the child and introducing the use of books into play. Once enrolled in PAT, our Certified Parent Educators will partner with each family to choose a visit frequency that will help support their individual goals for their children. Parent Educators are willing and able to visit families on a weekly, bi-weekly or monthly basis. Provided throughout the year at various community locations, group connections provide educational and fun activities for parents and children, all while linking parents together so they can learn and support each other and grow together. Throughout each family’s time with PAT, Ages and Stages Questionnaire (ASQ) screenings will be completed regularly to make sure each child is healthy, safe, and developmentally on track. By participating in PAT services, parents can easily connect with the other great programs and services Champions for Children has to offer, as well as helpful resources from service providers and organizations throughout the community.